December 20th, 2013 - Thanks for the note. Intake arrived yesterday and looks great! Hope to have some piping and an alternator case to send soon. Thanks again! November 20th, 2013 - How are you? My name is Rick. About maybe 8 or 9 years ago I had you polish my entire intake manifold, throttle body, valve covers, and some other miscellaneous items. They were absolutely perfect. I was wondering how much you would do the following for...stock waterpump, alternator, radiator hold down brackets (x2), drive belt tensioner arm, and ac compressor clutch pulley (if possible). Thanks a lot. October 9th, 2013 - Tony,here are some pics of the wheels ya did for me on our shop truck,ya did a very good job !!! Thanks ,Greg Gxxxx ,Gigers Street Rods,Emporia,Ks You have been sent 5 pictures. DSC02721.JPG DSC02722.JPG DSC02723.JPG DSC02724.JPG DSC02725.JPG These pictures were sent with Picasa, from Google. August 6th, 2013 - All I can say is WOW!! You guys are good! I'm looking for what ill have you guys do next! July 19th, 2013 - Hi Tony, Sorry the pictures took longer to get taken that I thought. Here is the finished product. thank you so much for your help in bringing this together. I love the job you did and yes, I will be sending you more polishing projects in the future not only because you did a great job but because I hate sanding and polishing :) it makes my elbow hurt. March 11th, 2013 - Tony, I met you father and mother last Friday at the McDonalds in Kearney when I picked up my tunnel ram parts. Nice people. Got home and opened the box to take a look at the parts. They look awesome to say the least. Very nice work. 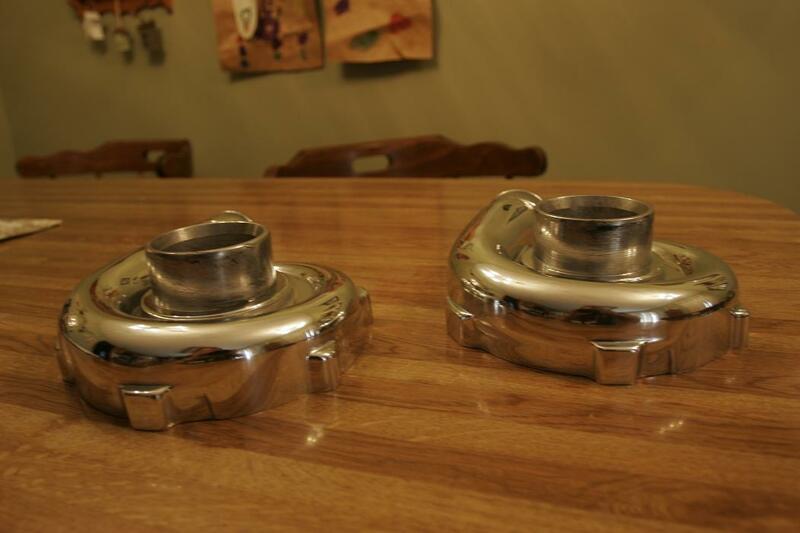 March 10th, 2013 - Hello again Tony, i bought some polished parts services off of you last year and i like it so much i was curious if i could get a quote on how much it would be to do two small pieces my lower water neck and my IACV Valve for my toyota supra. I also have a set of bolts and washers that need polished for my valve covers 12 bolts 12 washers, i was hoping you weren't too backed up because i need a rush on these if possible i wanna drive my car before my birthday (Early April!) Thanks again sir and hope to hear back from you soon! Dan Txxxxxxx. December 20th, 2012 - Tony ,Hi just got the e-mail from fed-ex about the pick-up of the valve covers, Want to thank you for the quick turn around and to wish you a Merry Christmas and a safe holiday. September, 2008 - I jus got done polishing my stieg ported eaton and I'll tell ya one thing, I give props to everyone that polishes these blowers. It takes a lot of time and patience to polish and is very tedious work. I thought that since I do natural stone countertops and floors and polish granite, marble, travertine, onyx and everyother type of stone day in and day out i thought i could tackle this beast, but its a whole different ball game when workin with metal, I mean the basics are there but jus when u think u have it polished up perfect you notice a blemish that gets highlighted when u hit it with the wheel. Tony you do excellent work and I admire what you do, cuz its deffinately not easy fast work. In all honesty I'd have it done by a professional, I love doin things myself but i know now that if i was to do it all over again I'd have a well known professional do it. April, 2008 - big thanks tony . got all my parts today , vary happy with the results. January, 2008 - I tried my own polishing and it turned out good, but not like your pictures. July, 2007 - Just got my parts back. They look great! Can easily see your reflection in them. Thanks for doing a great job! July, 2007 - Just got my compressor housing back from Tony and I am very happy with the results! Awesome work and I will be sending a couple more items to Tony to get done. Thanks Tony!!! June, 2007 - i can vouch for Tony as well. had him polish my TB two years ago. customer service was superb and the work was second to none. to this day still pleased with the work done. May, 2007 - Tony...just wanted to let you know how nice the parts STILL look after months of just "laying around" waiting for me to get everything put back together. I was afraid that without polishing them that they would "dull". I am making progress however and hope to have everything done within the month. I will post pictures of the engine compartment when it's completed. Everything looks so great that I have been wearing gloves to reassemble the motor! Thanks again Tony for the excellent work. April, 2007 - Here's some more of Tony's work that I'm proud to call my own. I tried several times, but couldn't seem to take a pic that did them all justice. Thanks for doing a great job! January, 2007 - Tony, Thanks for the fast turnaround, everything looks great Thanks for doing a great job! January, 2007 - Tony - Thanks for the quick turn once again Thanks for doing a great job! November, 2006 - Another satisfied customer. I'd post pics but there are enough floating around. I'm amazed how Tony can take a rough part like the intake manifold and return it mirror smooth. I'm going to have to find a few more odds and ends to send. So far I got the valve covers, intake manifold, throttle body, turbo housing and intake pipe done. Got everything back quickly also. Thanks, Tony. August, 2006 - all i can say is amazing ! August, 2006 - Man... I have polished a few tiny things b4 and they never came out like that! WOW!!!! How the heck do you get that mirror gloss? I get a shine but not like your stuff. Your stuff looks like chrome. December, 2005 - Folks, im sure you've heard this before from many other satisfied customers, but i just wanted to vouch for Tony's incredible polishing work. 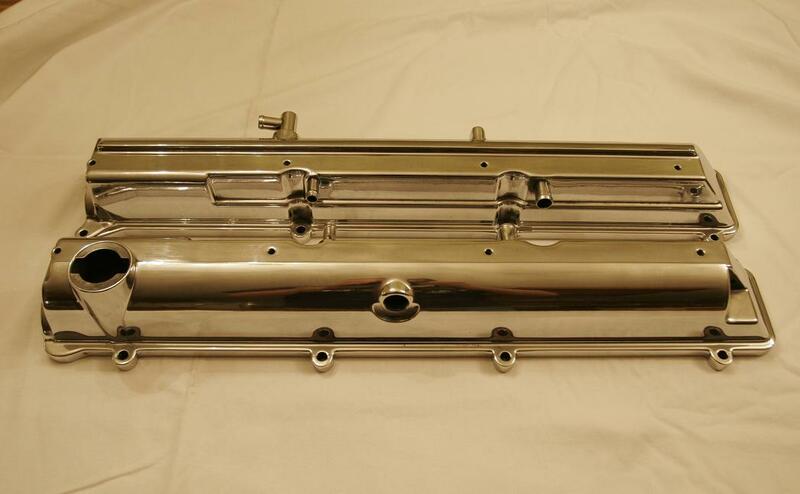 i had a Greddy T-78 compressor cover polished by Tony and it camed back looking nearly chromed! I've also had him polish my cam gears and wasn't expecting it to be nearly as nice as the compressor cover because of all the little teeth the cam gears have but that was amazing as well......every single crevice was sparkling! His rates are very reasonable as well. I never was big on polishing but plan on sending more parts to him since the price is cheap and the quality is great....so why the hell not polish!!! give him a shot if you're looking to polishing! October, 2005 - TT_6SPD_95 aka 95_TT_6SPD aka Tony... GREAT polisher! and quik with the return. highly recomend. i had the option of going to a local shop Mag Masters and having them do it. but figured with thier business and amount of customers they cant promise anythign on time. so i sent it out to Tony and asked for my TB returned within a week! he delivered on time with BEAUTIFUL results! wouldnt hesitate to ship anything of mine from here in SoCal all the way out to Missouri to get polished by him. once again a big thanx to Tony!! October, 2004 - Sent some items to Tony to get polished. 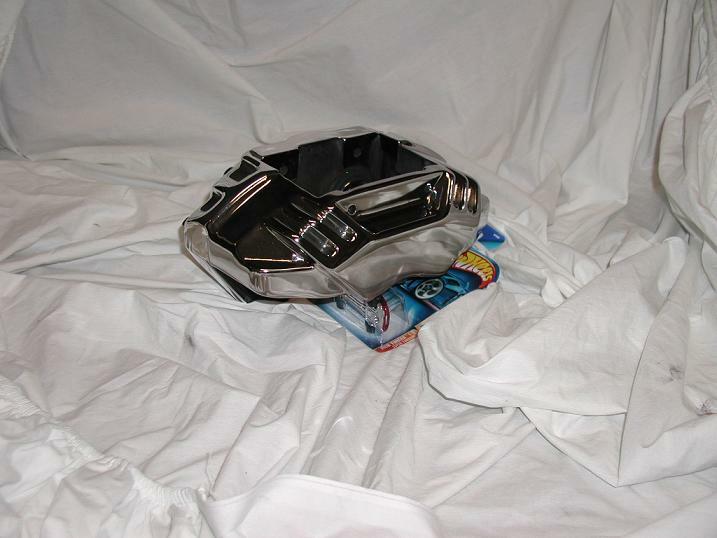 I also had a few smaller items chromed on island. Not only did Tony get the polishing done quicker, but you cant tell the difference from what he polished and what I had chromed. Excellent work, fast turn around. I had some stuff polished on island and it was crap compared to Tonys work. Highly recommend. April, 2004 - Here are a few pics of my IC pipe that was polished by Tony. He did a fantastic job and the pics really don't do it justice. He was great to work with, his turn around time was great and I would recommend him to anyone. 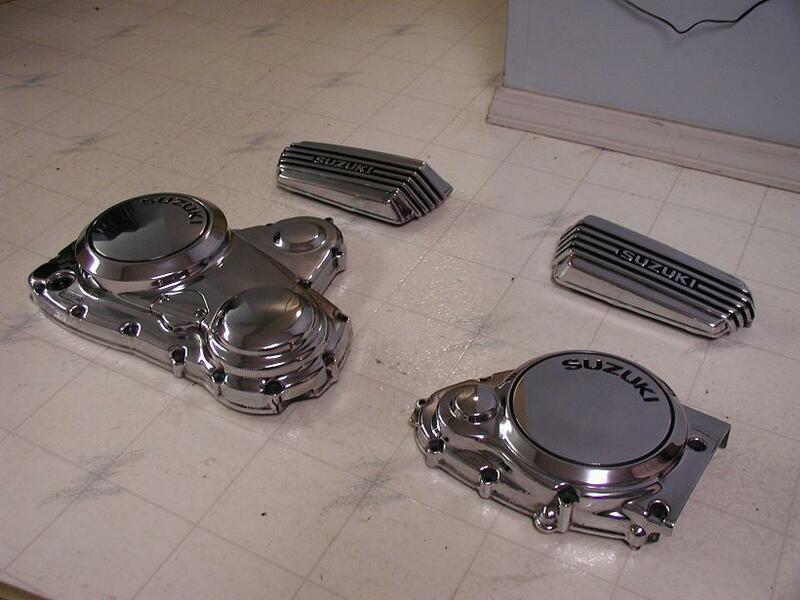 November, 2003 - I wanted to post my experience with gettings some parts polished by Tony (TT_6SPD_95 on the forums). The transaction was extremely smooth. I boxed up my IC pipes and stock twin Y-pipe on a Monday and shipped them to Tony. He received them on a Thursday and shipped them back out to me on the following Monday. I received them back on that Thursday. So I had my parts back within 10 days of shipping them out. Once I opened the box, I was extremely pleased - the pipes are gorgeous. I expected the IC pipes to look good since they were pretty smooth to begin with, but I was really impressed that the Y-pipe from the stock twins looked awesome too. He even included money in the box because he was able to ship the parts for less than we had originally thought.